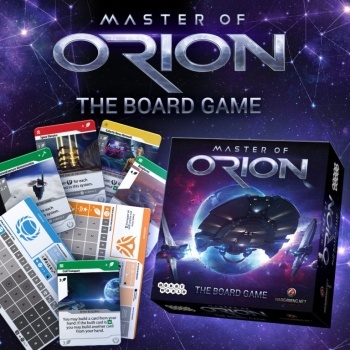 2016 will not only see a reboot of the Master of Orion video game, but an all-new MoO board game as well. Wargaming.net is investing heavily into its recently-acquired Master of Orion franchise - first we'll be getting a full reboot of the original PC game, complete with an epic voice cast, and then we'll be seeing the first Master of Orion board game. It's a natural leap for the franchise: 4X games tend to translate well to cardboard. Little is known at the moment. The publisher, Hobby World, says the game will involve managing resources, constructing buildings, hiring advisors and attacking opponents. So, yeah, basically Master of Orion. Time will tell whether the board game successfully adapts MoO, but I have high hopes. Hobby World is responsible for one of last year's funniest games, Spyfall (not to mention this year's Spyfall 2), and I've been eager to see what they do next. This begs the question: what classic video games are waiting for a translation to tabletop? My money is on Impossible Creatures, but I want to hear what the Escapists think.